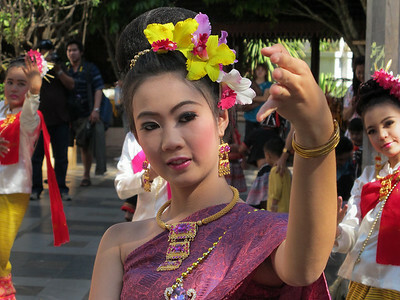 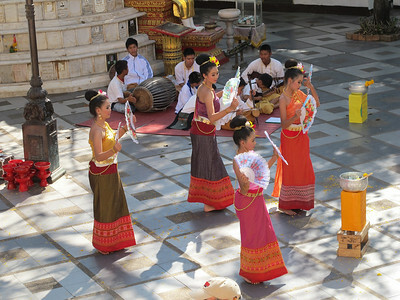 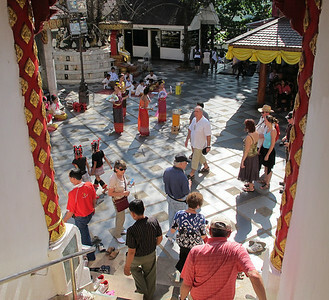 Dancers at Chiang Mei's Wat Prathat Doi Suthep. 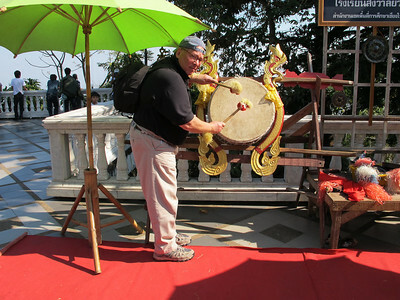 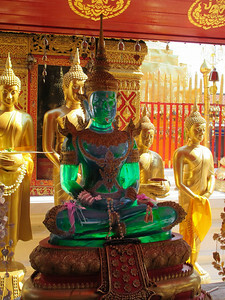 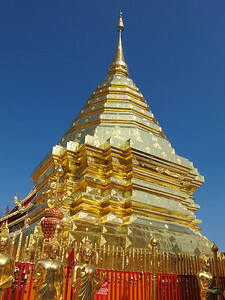 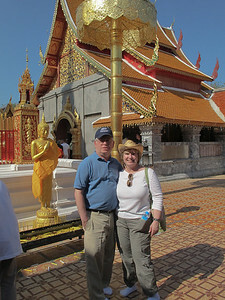 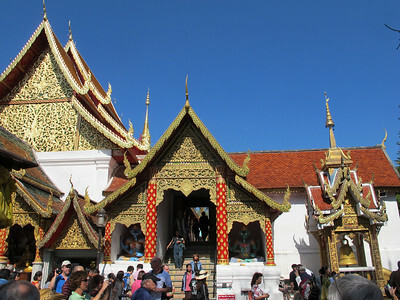 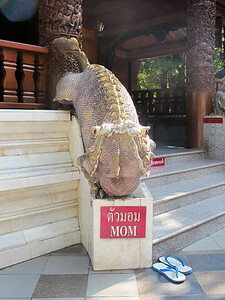 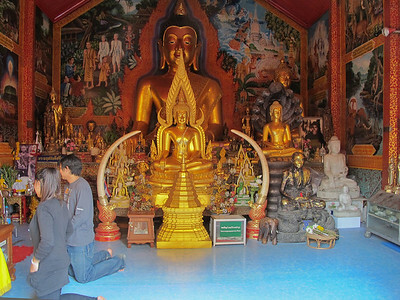 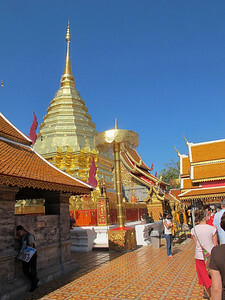 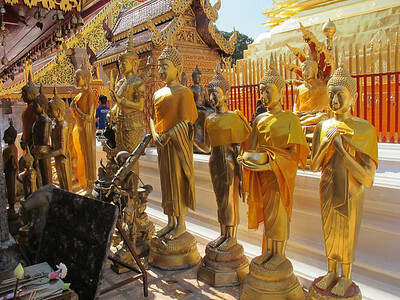 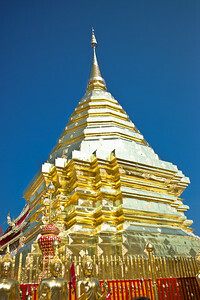 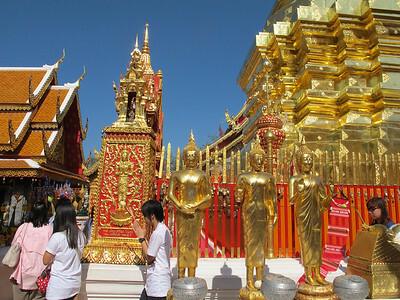 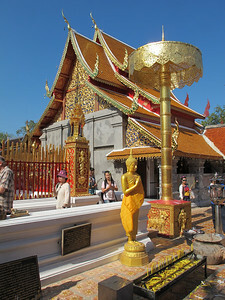 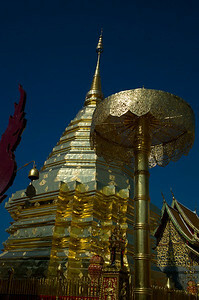 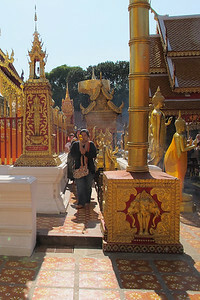 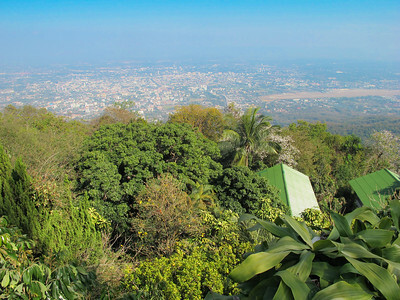 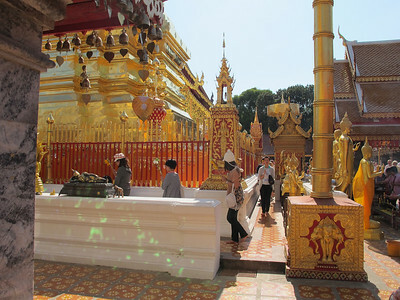 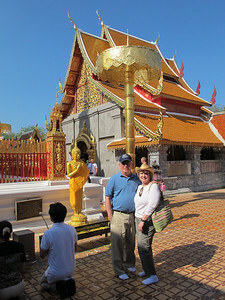 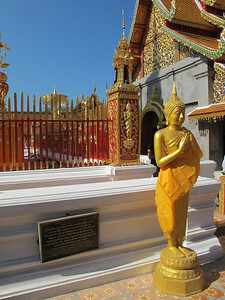 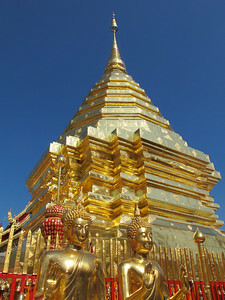 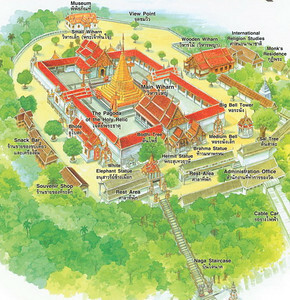 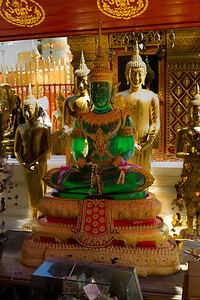 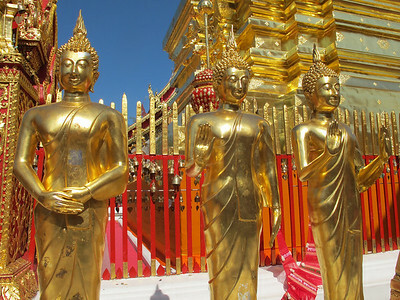 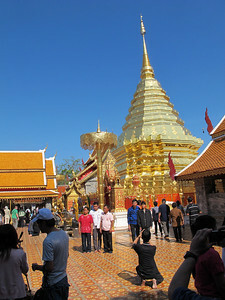 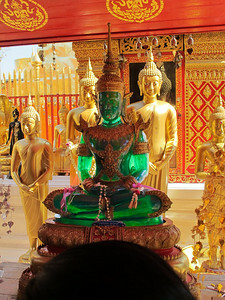 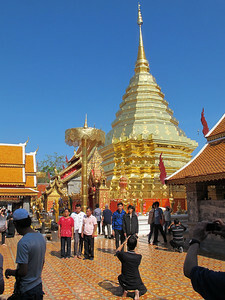 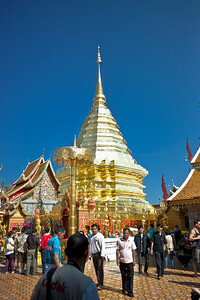 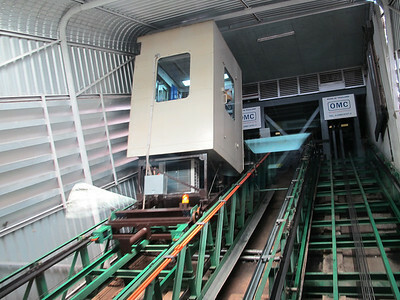 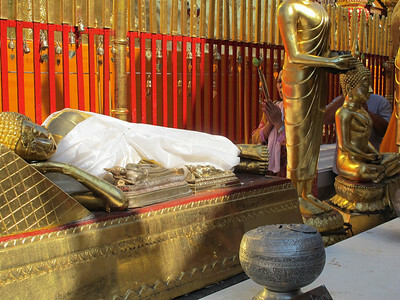 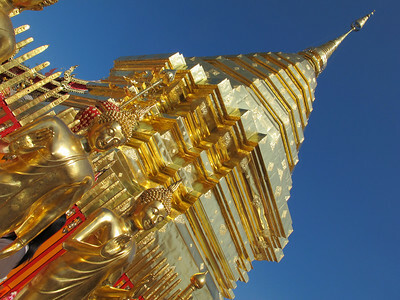 Chiang Mei's Wat Prathat Doi Suthep. 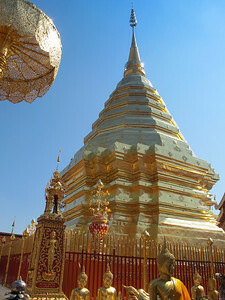 Lanna temple Wat Phrathat Doi Suthep is located on Doi Suthep, northwest of Chiang Mai on Huay Kaew Road. 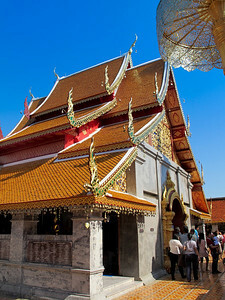 It is a temple built for people born in the Year of The Goat. 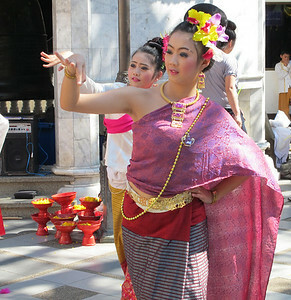 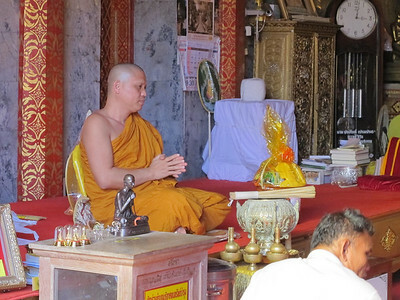 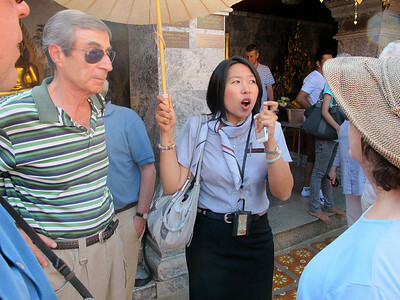 Lanna People believe that to bring them prosperity, they should visit the “Phra That” of their zodiac birth year, just once in their lifetime. 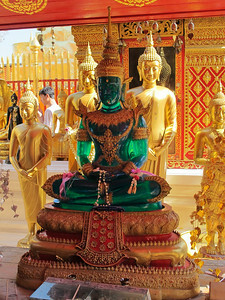 Buddha imges around the Chedi at Wat Phrathat Doi Suthep. 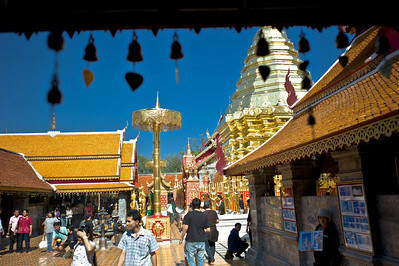 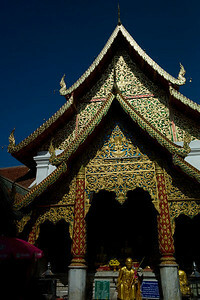 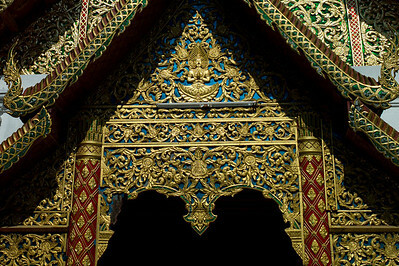 Temple edifice at Doi Suthep Temple, Chiang Mai Thailand.